What is VHF Car Tracking? VHF refers to the radio waves of the Very High Frequency band. VHF signals have been used for many things including the transmission of the original analogue television signal, before the introduction of digital television. They are also used for military and commercial communication; they have a dedicated band known as the 'maritime band' for communications at sea, as well as being used for air traffic communications and air navigation systems. VHF are the first wavelengths at which it is possible to transmit and receive using antennas short enough for small hand-held devices, so it is frequencies on this spectrum that are commonly used for things like walkie talkies, or small communication devices. Over time, it has become apparent that they have another useful application - in small security devices. A small VHF device can be easily concealed, for example, in a vehicle, and VHF technology is a popular choice for car tracking systems. VHF waves transmit their signals over long distances, and can travel through substances like bricks, concrete, or metal. The recent development of VHF car tracking systems has marked a shift-change in vehicle tracking systems - where other signalling technology can be jammed, or simply blocked out by removing the vehicle to an underground car park, or secluded shipping container, VHF signals will still penetrate all those materials, sending a strong signal back to those tracking it. VHF is the newest form of technology on the car tracking block, but it is already proving efficient. Although it is often combined in trackers which also feature GPS/GSM technology, both those technologies can be blocked, either by buildings, natural structures, or deliberate jamming - the technology for which is also cheaply and easily available. 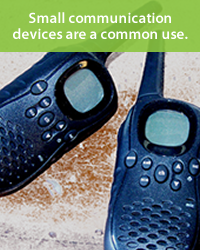 Most police forces in the UK are equipped with VHF detectors, and in contrast to other signals, VHF cannot be 'jammed'. 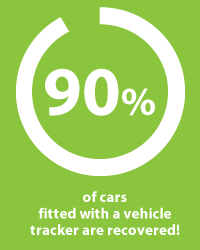 In 2013 it was reported that over 90% of cars fitted with a vehicle tracker are recovered - in comparison, the recovery rate for all stolen vehicles comes in at less than 50%. Insurers know this too - a car tracker can actually bring down the cost of car insurance, as tracked cars are often seen as too much hassle for thieves. If your car can be tracked no matter where they hide it, they might think twice before making off with it! For more information on VHF car tracking, or to buy a VHF car tracker call us on 0800 096 3092 - our lines our open 7 days a week and our friendly team is always happy to help.